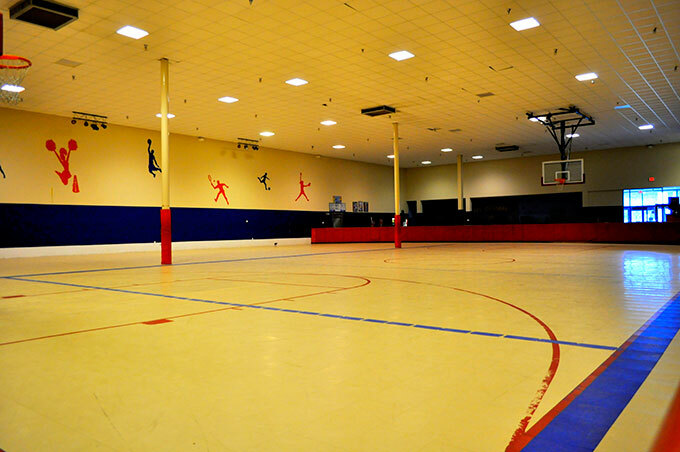 The Bay Minette Recreation Complex is home to the Rec & Roll Skate Center and the Strike City Lanes bowling alley. The Recreation Department also provides classes in dance and gymnastics, quilting and a summer “Kelly’s Kids” camp. The Rec Department offer oversees city league play in basketball, softball, soccer. tackle football and youth cheerleading. Please visit our new website here for online payment and registration for sports leagues and activities. Friday: 6 to 10 p.m.
*Additional Skaters are $3 each. *Additional pizzas are $10 each. *Additional pitchers are $2 each. *Recreation Department does not provide cups, napkins or plates. *No outside food or drinks allowed inside the building except cake, ice cream, chips and dip. Friday: 6 to 8 p.m.
Saturdays: 10 a.m. to noon, 11 a.m. to 1 p.m., 2 to 4 p.m., 3 to 5 p.m., and 6 to 8 p.m. Private parties are available on Sundays only and cost $100 per hour. ​Strike City Lanes opens at 11 a.m. Monday through Saturday and features 14 bowling lanes. The cost is $3.50 per game and shoe rental is $2.75 per person. ​Dollar Days are offered every Wednesday. Games and shoe rentals are just $1 each all day long! For more information about Strike City Lanes, call 251-580-2547 or visit the link under here. 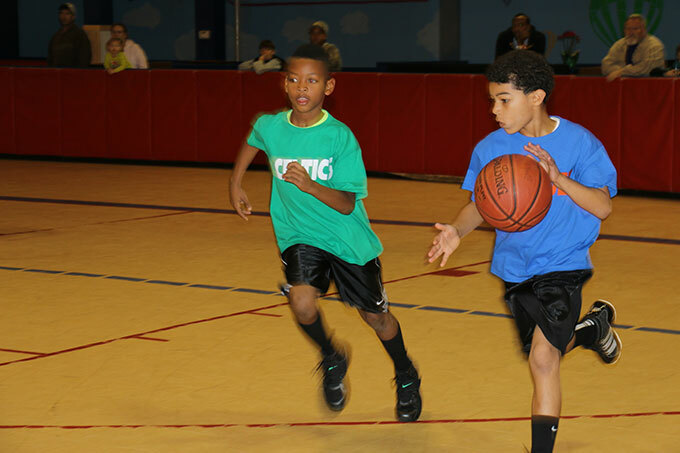 For more information about the Youth Basketball Leauge call the Recreation Center at 580-2546. Future Athleties offers a Summer Basketball League is offered at the Douglasville School of Arts & Recreation on Shedrick Hardy Parkway in Bay Minette. For registration information or to volunteer, call Queint Higgins at 251-213-4146. Bay Minette Youth Soccer League is open to children ages 4- to 17-years. Age groups include: U6, U8, U10, U12, U15 and U18. Registration is now underway for the fall season. The cost is $75 per player, which includes jersey and socks. There will be a discount for multiple children in the same family. Registration forms are available at Bay Minette City Hall and the Rec Department or online at: http://www.teamsideline.com/bayminette. For more information, call the Rec Department at 580-2546. To real the "Laws of the Game" visit the Alabama Soccer Association website or you can view it here. The Rules of the Game for Bay Minette Youth Soccer can be downloaded here. Youth Football: Parents/guardians must bring in a copy of the child's birth certificate and a recent photo. The cost is $80 and includes use of helmet and shoulder pads. The league is open to children 7- to 12-years of age. For more information, call the Rec Center at 580-2546. Cheerleading registration will open at the Bay Minette Recreation Department. There is a $15 registration, plus the cost of the uniforms (to be determined). The program is open to children from 6- to 12-years of age. Registration for the 2019 season is now closed. 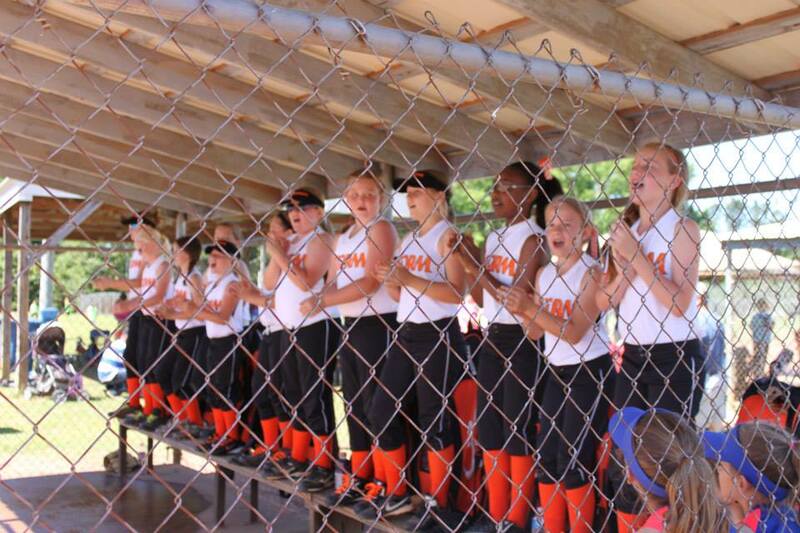 Bay Minette Youth Softball League is open to youth ages 3- to 15-years. The registration fee is $65 per player and registrants must provide a copy of birth certificate. For more information on the League, call the Bay Minette Recreation Department at 580-2546. Men's and Women's Leagues begin in June and the Co-Ed teams begin in July. For more information on the league or how to enter a team, call the Recreation Department at 251-580-2546. Bay Minette Youth Baseball League oversees the operation of the youth summer and fall leagues. The league is affiliated with the Cal Ripken/Babe Ruth organizations. 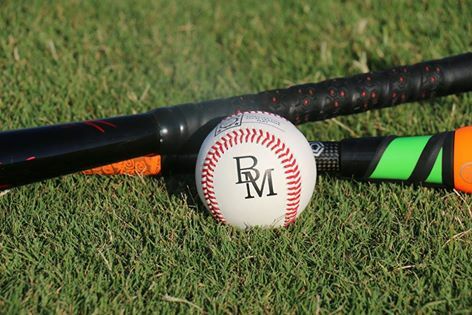 Bay Minette Youth Baseball League is offering a free clinic from 6 to 7:30 p.m. Jan. 8, 9 and 11 at Halliday Park. There is no pre-registration required. Opening day will be held March 17. Online registration for the spring season is available at bayminetteyb.org. Dance and gymnastic classes are provided by Slippers and Taps School of Dance at the Bay Minette Recreation Complex. Classes include ballet, tap, jazz/acro, contemporary, and hip hop. For more​ information, visit www.slippersandtaps.com/bay-minette-info or call the Rec Department at 251-580-2546. Wednesdays: 9 a.m. to 2 p.m. 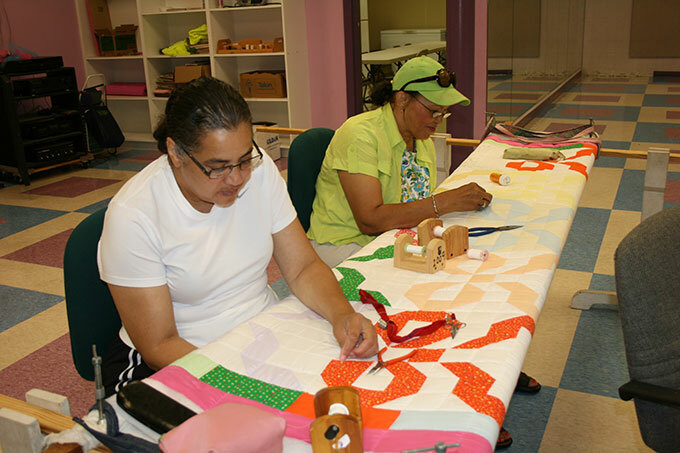 The Quilting Club meets each Wednesday from 9 a.m. to 2 p.m. at the Bay Minette Recreation Center. All are welcome to attend. This group is open to all who enjoy quilting or just want to socialize and share a cup of coffee. For details, call the Rec Center at 580-2546. Registration for Kelly's Kids opens Tuesday, March 26, 2019. The summer day camp will be offered June 3 to Aug. 9 for ages 5- to 12-years. An activity fee of $175 is due at registration, which covers field trips and special activities throughout the summer. Camp will meet 7 a.m. to 5:30 p.m. Monday through Friday and the cost is $85 per week, with discounts available for each additional child in same household. Campers will need to bring lunch and two snacks each day. Activities will include games, field trips, skating, bowling, movie outings and visits to the municipal pool. Call 580-2546 for details. Cost: $85 per week. Discounts available for multiple children in the same family. 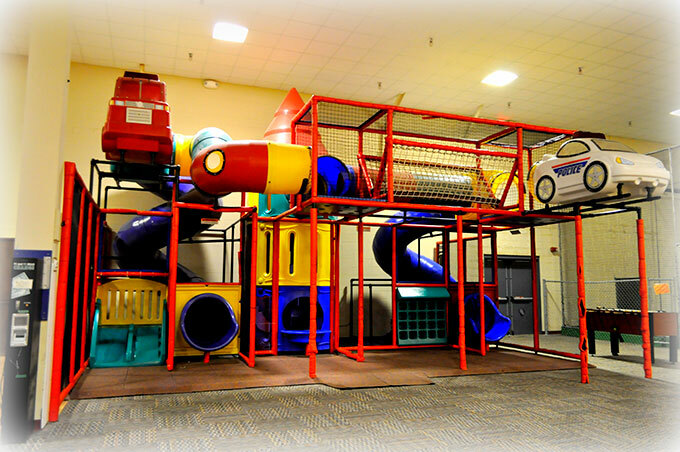 Times: Monday-Friday, 7 a.m. to 5:30 p.m.
Games, swimming, skating, movies, field trips and much more fun!! Participants should bring a lunch and two snacks everyday. Registration will be filled on a first-come, first-served basis.